Staying connected is of grave significance and when it comes to your customers, communication helps you keep your business afloat. 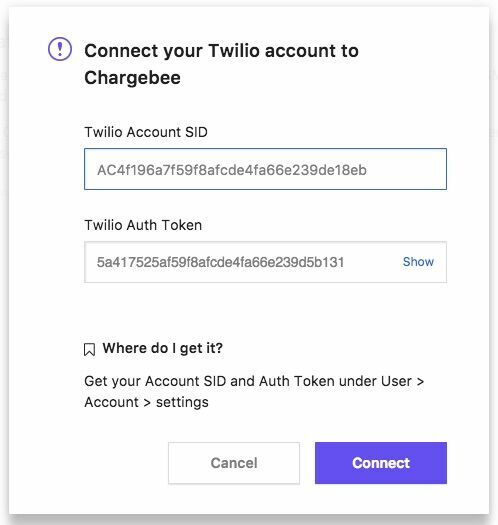 Chargebee understands your need and hence the integration with Twilio. Twilio is a cloud communications platform for sending and receiving SMS and phone calls without the complexity of involving network carriers. This enables you to communicate with your customers via SMS and phone calls. Chargebee will send emails with OTP to customers when they log in to Customer Portal or during the checkout. To reduce the hassle caused by emails, Chargebee has now integrated with Twilio. To authenticate Customers when they are logging in to Chargebee's Customer Portal via login page. To authenticate the existing customers while they're performing checkout in Chargebee's hosted pages. You will be prompted to enter your Twilio Account SID and Twilio Auth Token. You will be asked to choose from the Twilio Phone Number or the Twilio Message Service SID for Chargebee to send SMS. Twilio Number is the phone number using which you are permitting Chargebee to send the SMS to your customers. 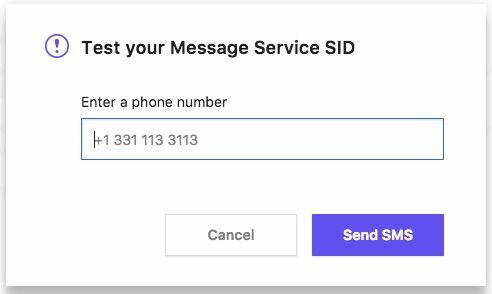 Twilio Message Service: If you have message service set up in your Twilio Account, you enter the SID here. You will be asked to enter your phone number to send a test SMS to ensure the SID is valid. 1. How can I change the Twilio number or Message Service ID that I used for the integration with Chargebee? In your Chargebee site, navigate to Settings > Third Party Integrations > Twilio > Manage Integration. Clicking on Manage Integrations will prompt you to modify/add the existing number or choose Twilio Message Service.